You just had your first child. In my circle of friends, we lovingly refer to the time immediately following the birth as, “The Hundred Days of Darkness.” For those of us who have been through it, this requires no further explanation and you barely remember that time, now. You know you were overwhelmed with sleep deprivation and a new all-consuming love for your child. It is a season in life laded with all kinds of decisions, big and small: What should we feed the baby? : Will we co-sleep? : Will we use a pacifier? : Wait, there are “styles” of parenting? : Do I have to decide if I am into Attachment Parenting, Positive Parenting, Conscious Parenting, Authoritative Parenting, or (my-head-is-spinning-like-a) Helicopter Parenting? And don’t even get me started on the 12 hours it takes to choose a car seat. 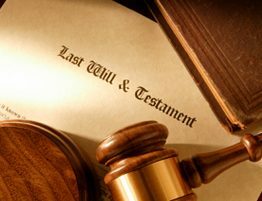 One thing you are probably not thinking about is meeting with your estate planning lawyer to update your Will and designate who you should be your child’s Guardian. Then it happens. You sneak away for your first baby free date. A weekend away perhaps? Or in my case, a wild Saturday night trip to the local grocery store alone with my husband while my mother watched the baby (I’m pretty sure my husband and I high-fived and yelled “we’re free!” when we got in the car, only to miss her twenty minutes later and almost fell asleep waiting for our take out). Than the initial freedom soon wears off, and a nagging thought comes. You push it aside, but it is stubborn. You can’t help but think – ‘Oh NO! what if something happens to me while I am out!’ Forget the first time you get on an airplane without her. Sigh, goodbye carefree vacations for the next eighteen years forever. It’s not uncommon to put off estate planning for years, and I often find when I meet with clients that choosing the Guardian is the greatest factor in their delay. But, in a worst-case situation, it could be one of the most important decisions you ever make. There is no way for anyone to make this decision easy for you, but here are five important things to consider so that you can start off in the right direction. Think beyond obvious choice: Some parents are extremely lucky and have someone in their lives that is already like a second parent to their child. Others have no family in the near vicinity or have family members they love but would not want raising their children. Your sibling or your mom may be an excellent choice, but if not, think outside your immediate circle to extended family and close friends. Then, make a list. The “best” choice may not necessarily be the “obvious” choice. Emotional Considerations: Now make a list of all the factors that are important to you: personality traits, religious beliefs, moral values, willingness to serve, educational values, parenting philosophy (there it is again! ), how affectionate they are, are they good role models. Now, match up your list of names to this list of priorities and see who matches the best. Practical Considerations: Factors such as age and physical location of your potential Guardians may matter to different extents depending on the age of your children. 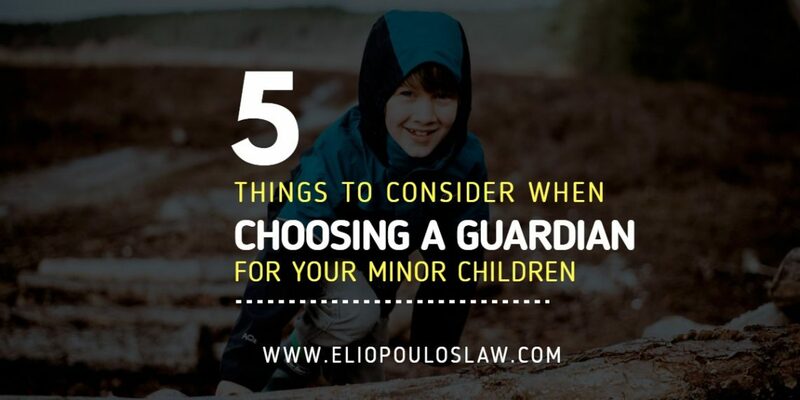 As an example, perhaps when your child is a baby you would name a younger person with more energy to be a Guardian, but when they are older you might want to revise your Will and name your parent. Perhaps when your child is younger, it matters less if they needed to be uprooted to a new home so you choose your cousin who lives three states away, but when they are in middle school and have established their own roots, you revise your Will to name your father who lives in the same town as you do to be less disruptive to their schooling and social support system. Just know your decision can change over time. Don’t look for the perfect choice: YOU are the perfect parent for your child. Hopefully, there will be people on your list who will be good choices, but you might be waiting a long time if you wait for a perfect candidate who is just like you. Finances: Financial ability of the person you are appointing to raise your children may or may not be a factor. If you have good estate planning in place, with life insurance and a Trust, your pool of candidates may be wider. If not, you may need to consider who has the financial and economic resources to take on this responsibility. Believe me–whether you are snuggling your new born baby, or watching your child get on the school bus for kindergarten or watching your teenager head off to sleepaway camp for the first time–there will NEVER be an easy time to think about this. But if the unthinkable should happen, the last thing anyone would want is the Court deciding who will be appointed as your child’s Guardian, or someone raising your child that you would absolutely not have chosen, or worse, having family members fight in court over who should be nominated. Once you have decided, the most important thing you can do is to put your wishes in writing with a simple estate plan. I hope that my clients never have to use some of the documents that we put in place, but I promise you that they are always just a tiny bit more at peace the next time they get on that airplane (or have a date night out at the grocery store! ).